“Ducted Air Conditioning System”, which is also known as “Centralized Air Conditioning System”, is the extension of the development initiated by introducing “Split Air Conditioning System” in the market. 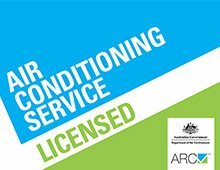 Bennett Aircon provides ducted air conditioning in Northern Beaches at affordable rates. The cool air flow produced is pushed to the occupants of the building through ducts, and hence the name. The rationale behind this AC system is very simple to understand – fulfilling the needs of a larger size of end users. And that’s why you would see it in the large residential buildings, educational, vocational & cultural institutes, offices, commercial complexes, industrial facilities, government and public buildings, etc. Unlike split AC systems, ducted AC systems have only one unit – outdoor unit, which is known as the ‘central unit’ and is located in the basement or roof, as per the settings at the concerned place. This kind of positioning helps to keep the aesthetic appeal of the place intact. As it is the chief operating equipment in this type of the AC system, all the components viz. evaporator, condenser, compressor, and so on, are included in it. The cooling process in this AC system is mostly similar to the split AC in terms of heating and cooling of refrigerant; the only difference lies in the manner the air flow reaches you. 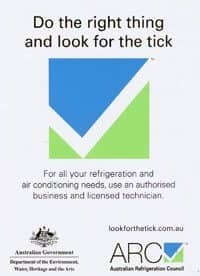 To see how refrigerant works you can check the split system air conditioning page. The cold air generated moves through the vents and reaches the ducts which are located in different parts of the building, from where it flows over the entire space. The ducts are fixed on the ceiling or floor area of every room in the building. The duct-work is done in such a way that it does not affect the beauty factor of your home or office. The openings for the airflow, i.e., the ducts are laid in a very sophisticated manner, and so they don’t look weird or untidy. Also, there is minimum electrical wiring. Considering the situations for which ducted air conditioning system was designed, the compressor can produce hundreds of tons of cold air, and so the central unit is quite huge. Therefore, care must be taken to place this unit perfectly. Also, precautions must be taken to see that it always remains safe and doesn’t get affected by the outer environment. The temperature is monitored through the thermostat, and once you set it to particular degrees, the entire building experiences the uniform cooling. It is suitable in some cases, while in others it is not. If your place falls into the second category, you can avail the option of zoning your AC system. With this facility, you can create separate zones and assign individual rooms or areas in each of them. Now, you can set varying temperature levels for different zones. Once the set temperature level is reached, the compressor turns off, and when the temperature changes, it turns on again, which creates an extra burden on the AC. It can be avoided by using an AC system which has an inbuilt inverter, wherein the AC keeps running at the moderate speed on reaching the set temperature level. Ducted Air Conditioning System in Warriewood, Cromer, Northern Beaches, Beacon Hill, Frenchs Forest, and Balgowlah comes in various sizes according to the cooling capacity and hence choosing the one which fulfills your needs most suitably is a significant decision. Our team of expert technicians can assist you in this and also install the AC system within your specified time and budget limits. Quality of air, in Northern Beaches and other regions of our Sydney city, is good, but Ducted Air Conditioning System removes the harmful particles from the air, thus making the atmosphere better for you.